Amelie sure likes cracking her creme brulee with a teaspoon. I have to admire European, particularly French, movies in general. Their directors are generally less afraid of deviating from what are considered accepted filmmaking conventions. Of course, then you have the French classic Amelie, where director Jean-Pierre Jeunet not only disregards the norm in moviemaking, but spits right in its face as he crafts the tale of Amelie Poulain (Audrey Tautou), an innocent Parisian girl who takes it upon herself to better the lives of those around her. She decides it is time to work for herself for a change, however, when she meets Nino Quincampoix (Mathieu Kassovitz). Amelie is nominally a romantic comedy, but it’s not fair to describe the movie as that because it is so much more. It was more about Amelie and how she shows the characters she meets, from the cruel grocer Collignon (Urbain Chancelier) to the fragile-boned Dufayel (Serge Merlin), what is really important. As a result of being homeschooled and thus not having been exposed to social norms most children are, Amelie can see things with a certain clarity you and I can’t, and this also leads to her being very uninhibited when she feels she must do the right thing. This is evident when she exacts revenge on Collignon on behalf of his abused employee, the slow-thinking Lucien (Jamel Debbouze). A strength Amelie had was its cast. 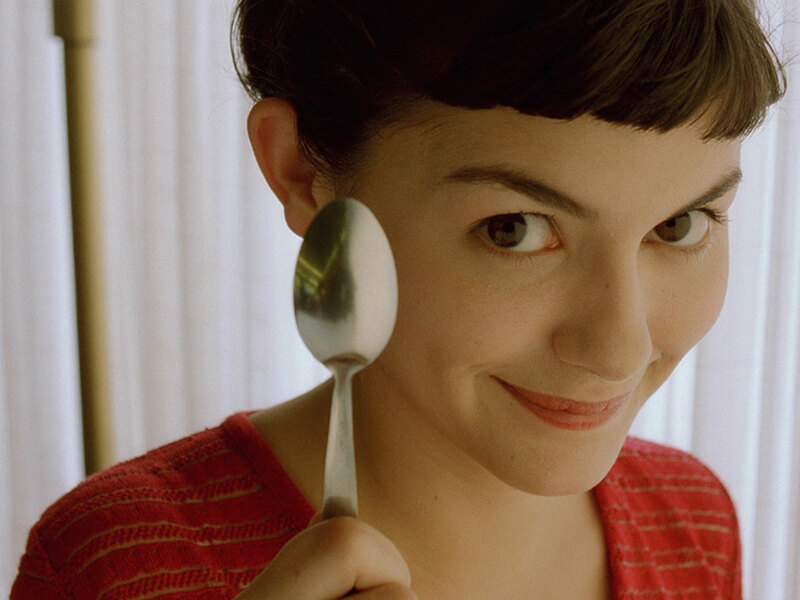 Audrey Tautou, who is well known to American audiences for movies like The Da Vinci Code, was perfect as Amelie. Tautou was consistently funny throughout the movie. The supporting cast also did more than its fair share. It was Chancelier’s performance as Collignon that really stuck out to me. Overall, Amelie is a fine example of modern French film. It was well-acted, and overall a beautiful film in a very unusual way. Needless to say, it is also side-splittingly hilarious. I am unable to really say anymore because Amelie is a movie that you need to experience firsthand.